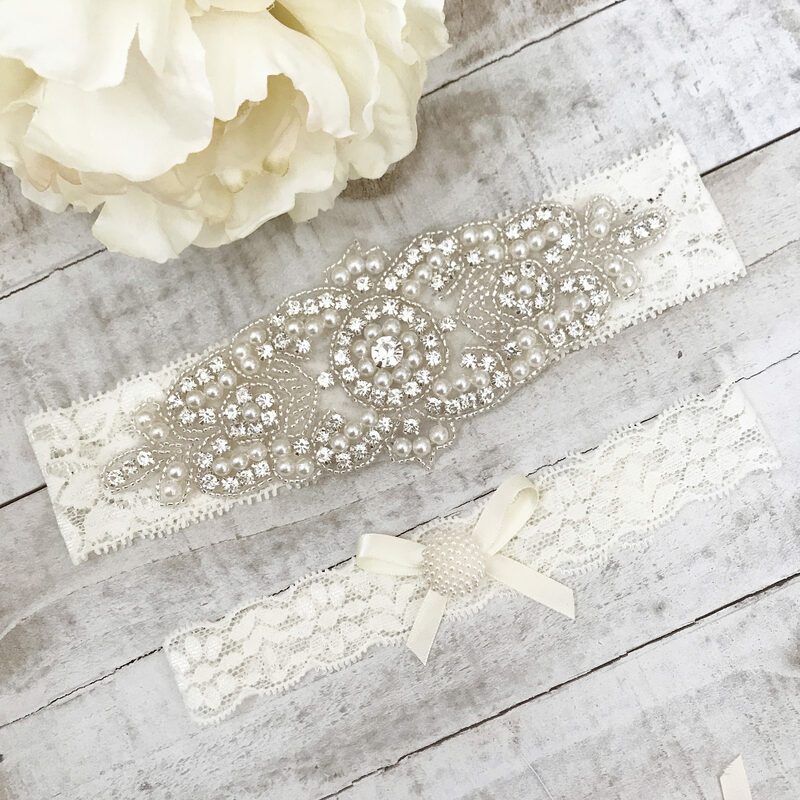 This is a beautiful custom sized bridal garter set handmade with stretch lace, clear crystal rhinestones in silver color settings, and pearl beading. 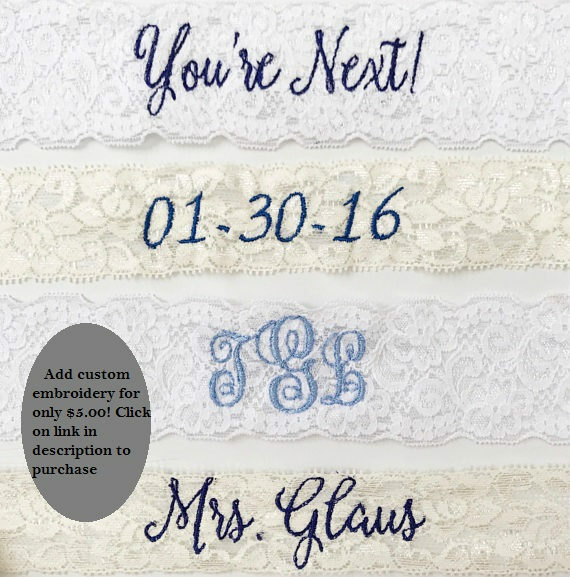 These garters are stunning! The larger one is 2" wide and the smaller one is approximately 1.5" wide.